How many times do you tell the kids to put their things away? According to our recent survey, this phrase is repeated by millions of parents every day with nearly 1,500 organization battles between children and parents every year! We polled about 1,000 American parents and found out some interesting – and hilarious – statistics on kids’ organization. 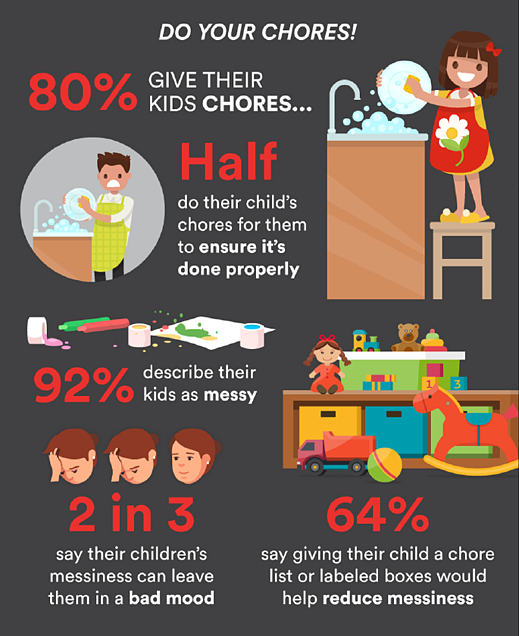 Not only does the average parent tidy up after their child 28 times every week, but about half of parents also do their child’s chores to ensure they’re done properly. 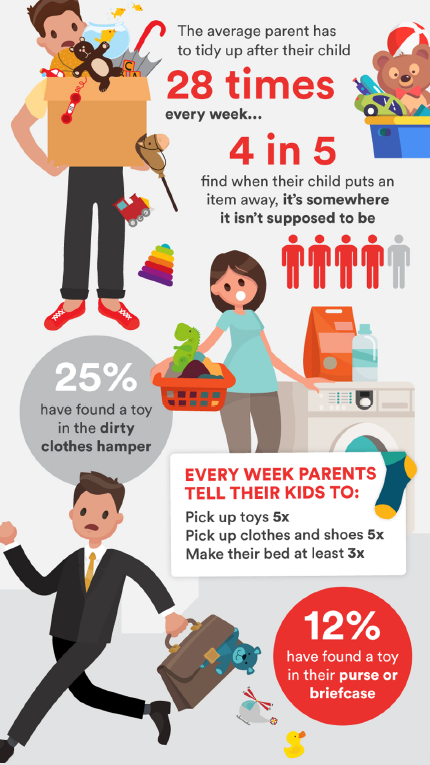 It’s no wonder most parents are more willing to do the cleaning up – four in five parents have found that their child put something away in a place it doesn’t belong. About 25 percent have found a toy in the clothes hamper, and 12 percent have found a toy in their purse or briefcase. Other strange locations include the toilet, bathtub, and the dishwasher. 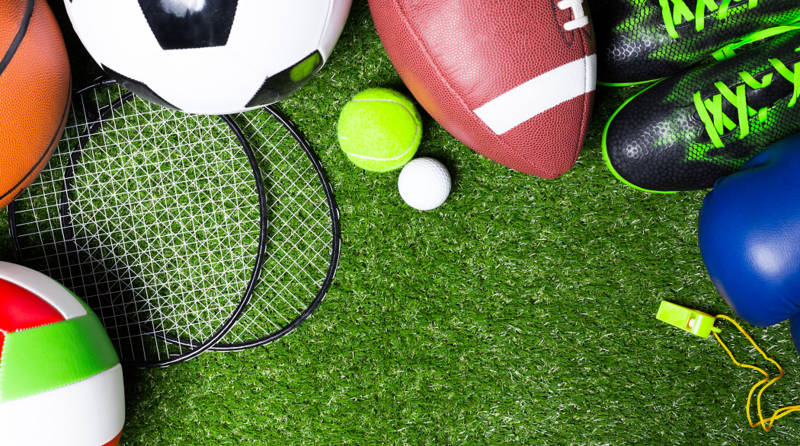 Sometimes these misplaced toys can cause actual physical injury. 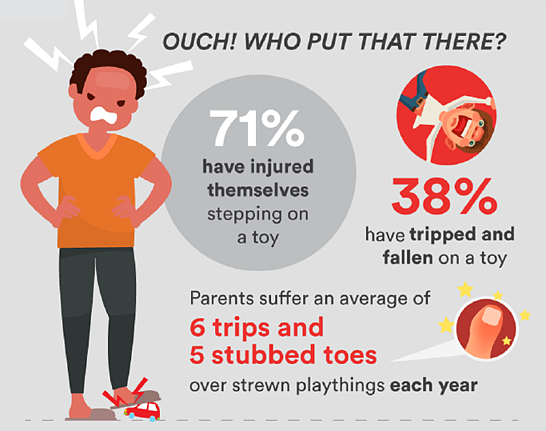 Of those surveyed, about 71 percent have injured themselves stepping on a stray toy, and most parents suffer an average of six trips and five stubbed toes each year. We also discovered kids have an average of 59 toys. 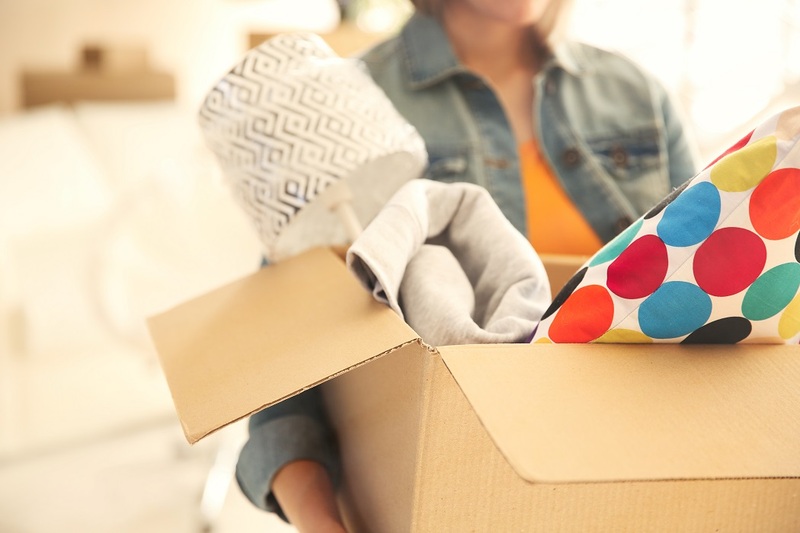 To help reduce this number, about 75 percent of parents have admitted to secretly downsizing their children’s toy collection. 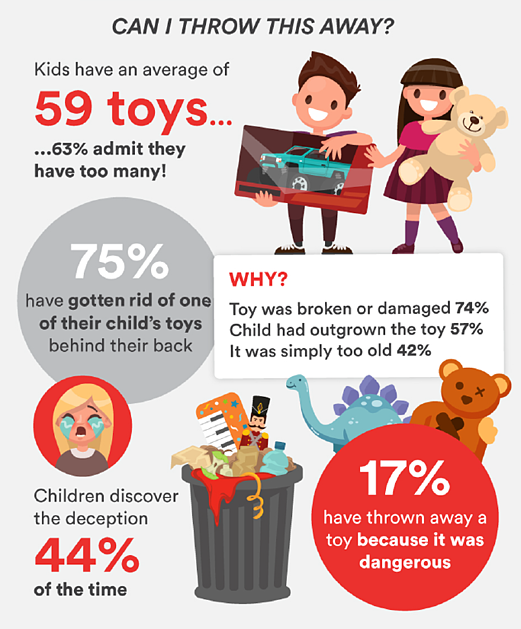 The main reasons behind discarding toys? The item was broken or damaged, the child had outgrown the toy, or it was simply too old. With all these toys, parents are understandably looking for the best way to combat the clutter. About 80 percent of parents agreed chores were the key, and 64 percent said giving their child a chore list and labeled organization helped reduce messiness. 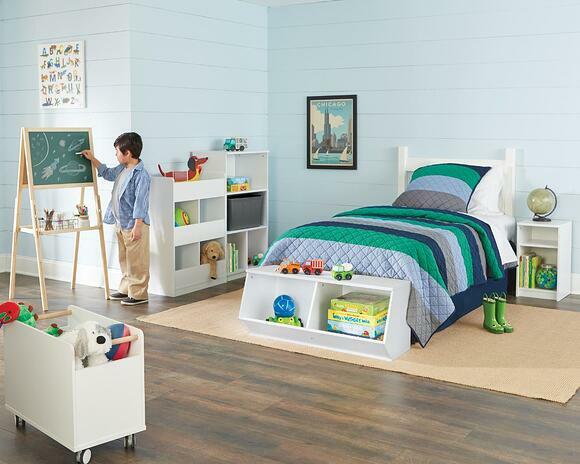 ClosetMaid’s new collection of kids’ organization products, KidSpace, might be the solution parents are looking for. With over 15 new items to choose from, parents can find the perfect tools to help keep their kids organized! For more kids organization and lifestyle tips, visit ClosetMaid.com, and check out all of our other channels: Facebook, Twitter, Instagram, Pinterest, YouTube, Houzz and Flickr. 0 Comments on "Tidy That Up! – Kids’ Organization Survey Results"